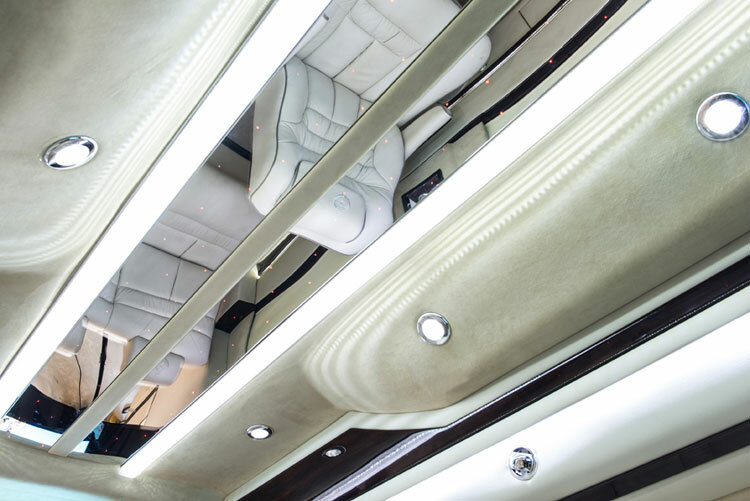 Prestige Motorcoach has been building high-end van conversions for over 25 years. 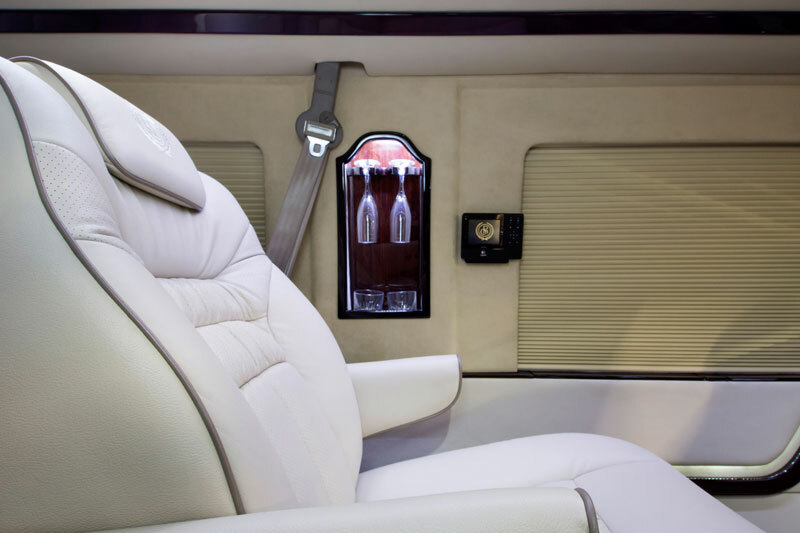 Even though PMC has always been synonymous with top of the line products, you are in for a real surprise when you peak into one of our coaches now. 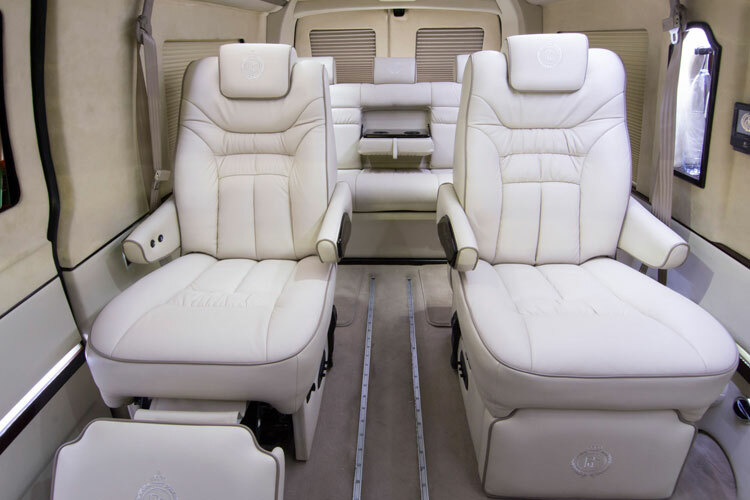 Our vehicles were state of the art then and they are state of the art now — but even more amazing! 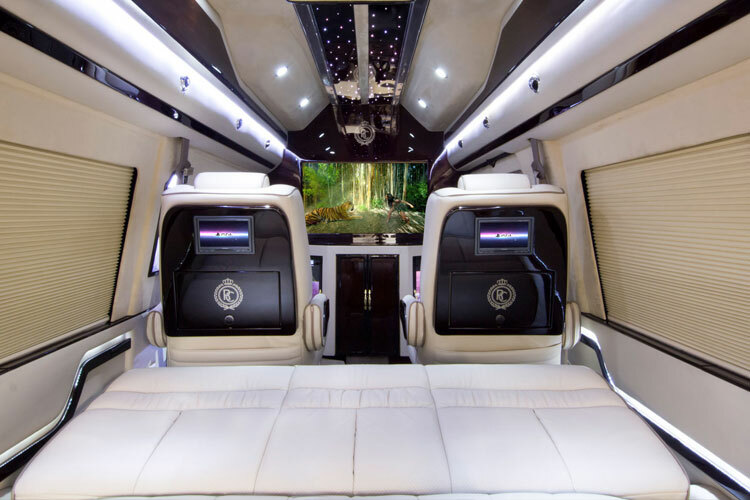 Whether you are looking for a luxury van conversion to bring your whole family or to conduct business, PMC is your luxury vehicle. 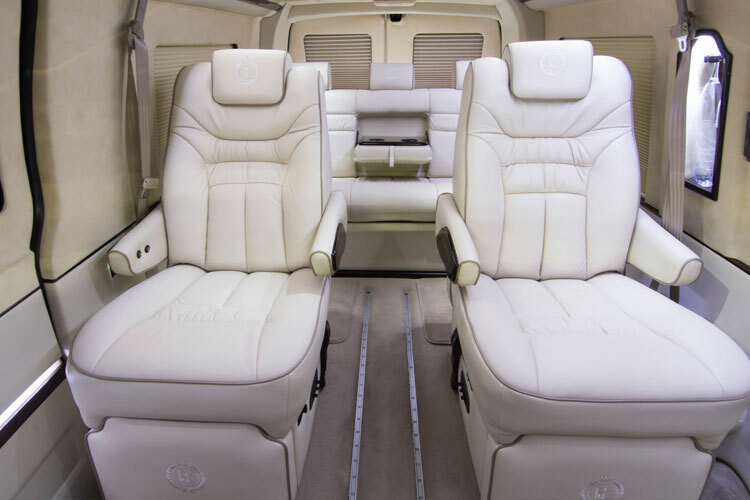 All of the quality and comforts of a private jet are packed into our coaches. 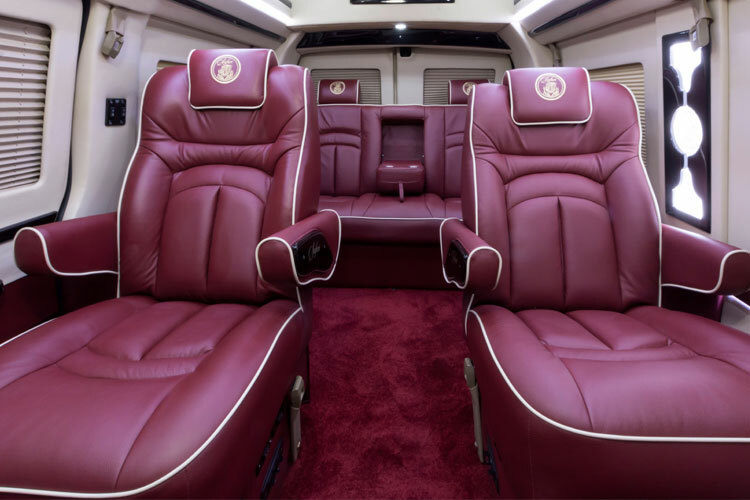 Our coaches have seats so plush and comfortable that you won’t want to get out of them. Push a button and kick your feet up with our electric ottoman. 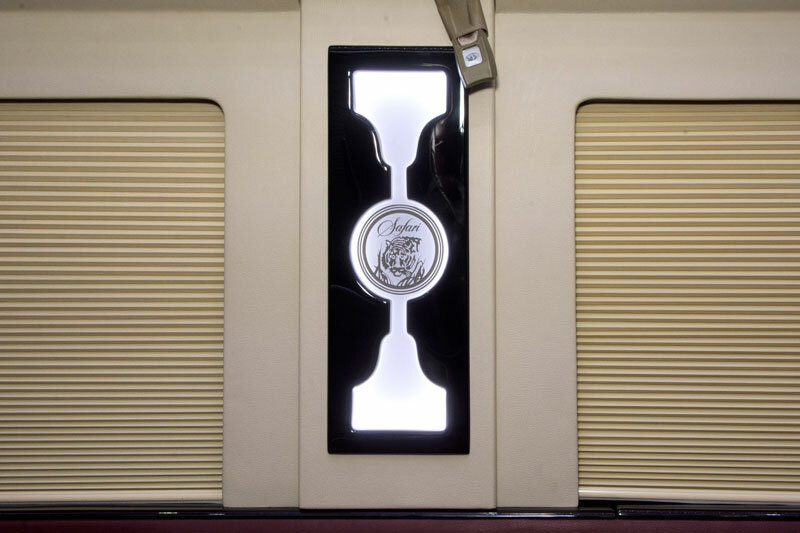 For your privacy, push a another button to lower the shades. At PMC we are constantly innovating to keep in front of the competition. 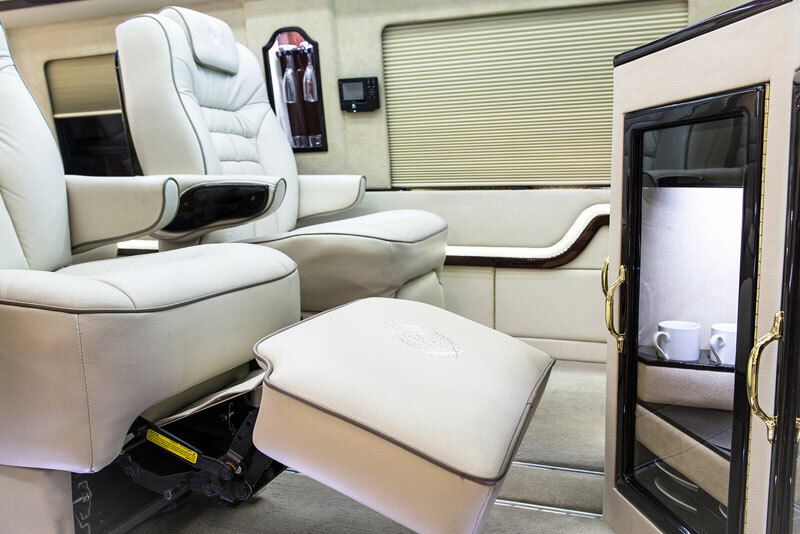 With a table that easily rolls out of the cabinet and chairs to swivel 180 degrees, you’ll have a wonderful place to meet with your clients when on the road. Many options to choose from and all of the control at your fingertips. A variety of packages are designed to suit your style and budget. Our mission at PMC is to never compromise quality. 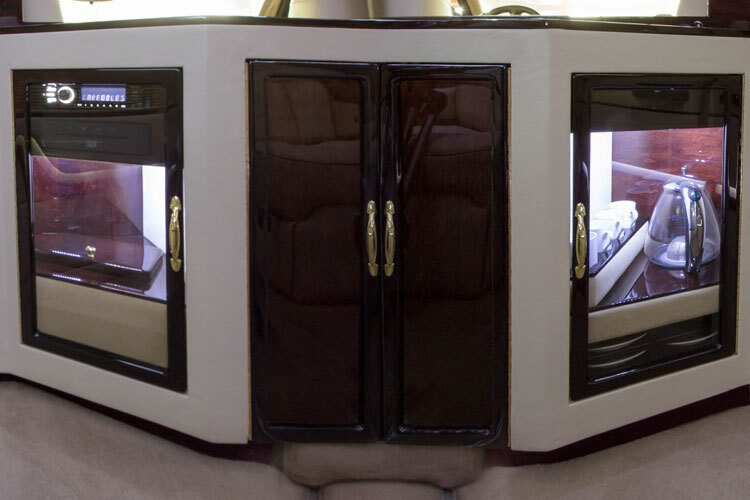 The Royal Coach Platinum conversion is a high-end conversion built on a GMC Savana 2500. It’s elegance will please the most discerning buyer. 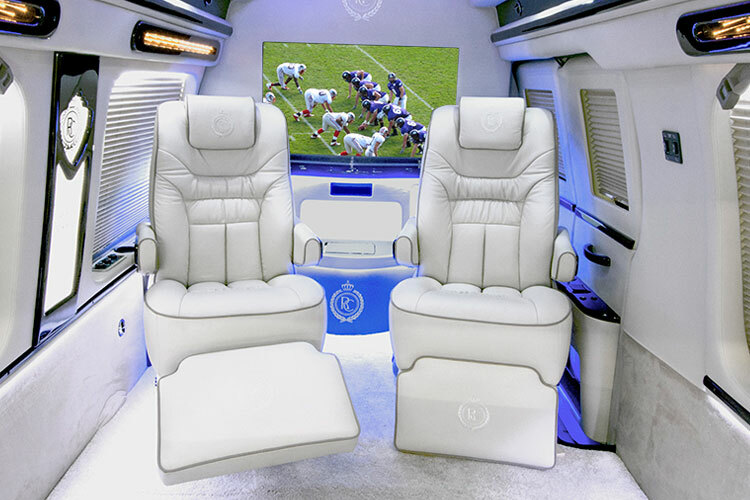 It’s equipped with plush leather seating, power footrests, big screen TV that slides up and down, beautiful bar and high gloss piano finish wood accents. 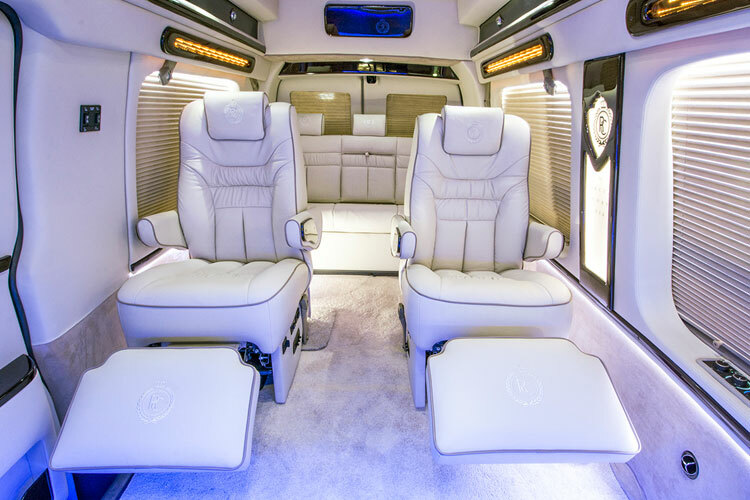 Our Safari Package is elegant and plush. It has all the comfort you want. 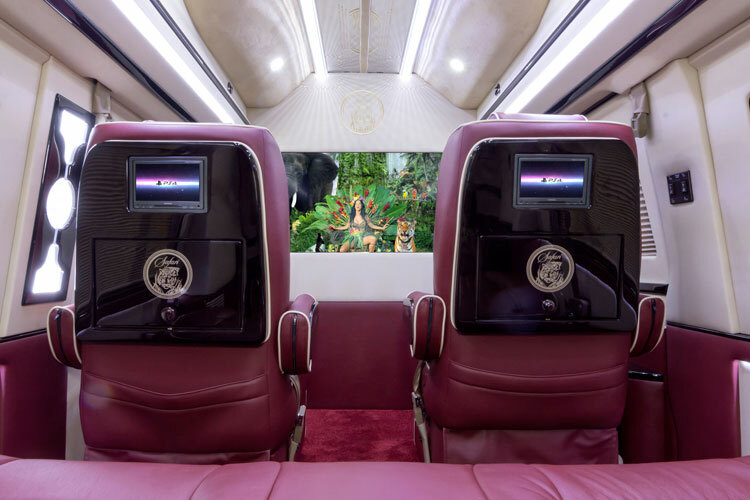 This package has plush leather seating, automatic footrests and a big screen TV that divides the driver from the cabin with a push of a button. 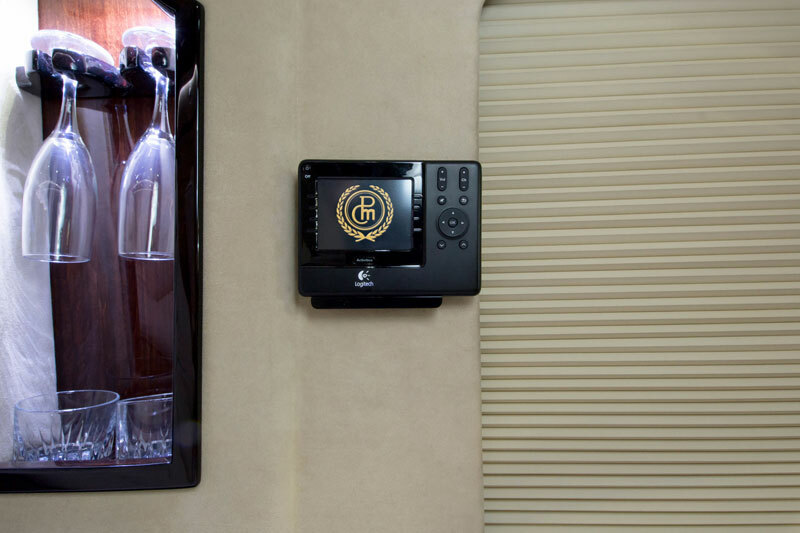 © 2014 Prestige Motorcoach, Inc. All rights reserved.